"Some people show enormous resistance to modifying even a fraction of themselves. They're not about to shift the way they think or what they think they know. They simply expect others to get with the program - to adjust their mind-set and fall into their way of thinking. How ignorant for any of one of us to assume that we have a monopoly on right perspective and no one else holds even a piece of the puzzle." And later in the chapter, he continues "The truth is, we don't have to agree on everything to be friends, but a lot of people seem to think we do. That popular and toxic lie has taken our beautiful planet and turned it into a battleground. The assumption is, if you don't think like me, not only are you wrong, but you are bad and possibly even evil." As the temp is dropping, fall is feeling more and more real now in nor-cal. I have always been taking advantage of this crisp weather to bust out my cozy coats. With lower temp, it doesn't really matter what you're wearing inside if you are outside because what people see mostly is your coat. While most of my coats don't really scream statement coats, they do really make my outfits during colder weather. I was in search for a camel coat particularly this season. 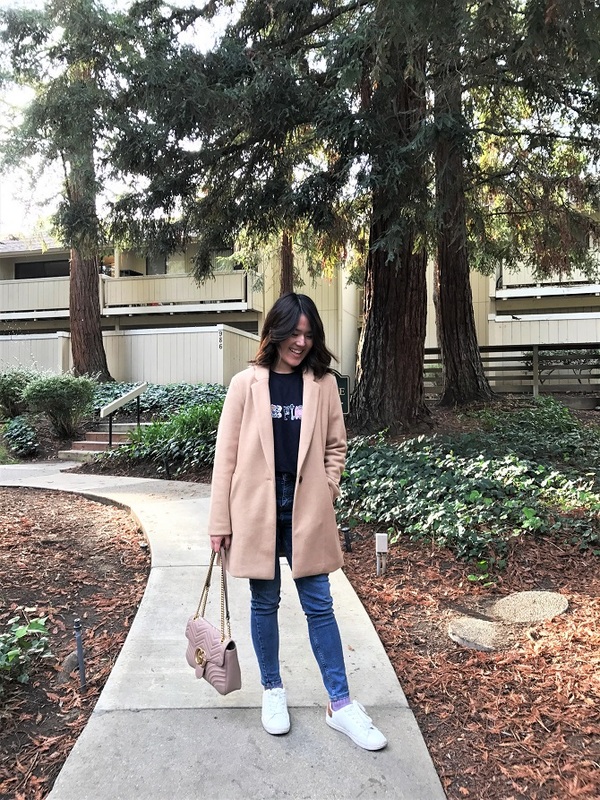 Camel coat has been a classic and more popular than ever, but I just haven't found the one that is the right look and price. I came across this one from Old Navy. I still do think Old Navy produces killer essentials like this coat. 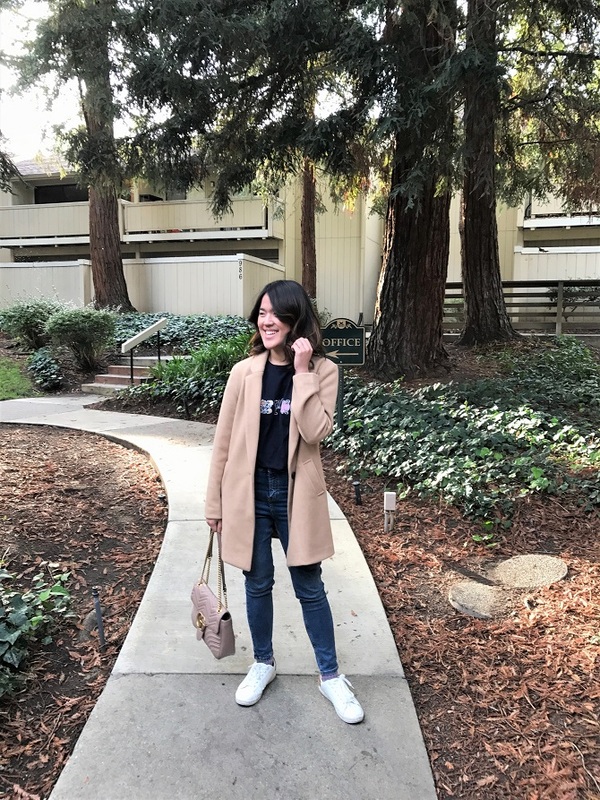 The shade of this coat is slightly lighter that I originally wanted, but with the right price nothing can really beat it! It's currently on sale, and using ebates will add extra savings to your shopping. This is my second coat from Old Navy. It feels pretty well made and warm, too. 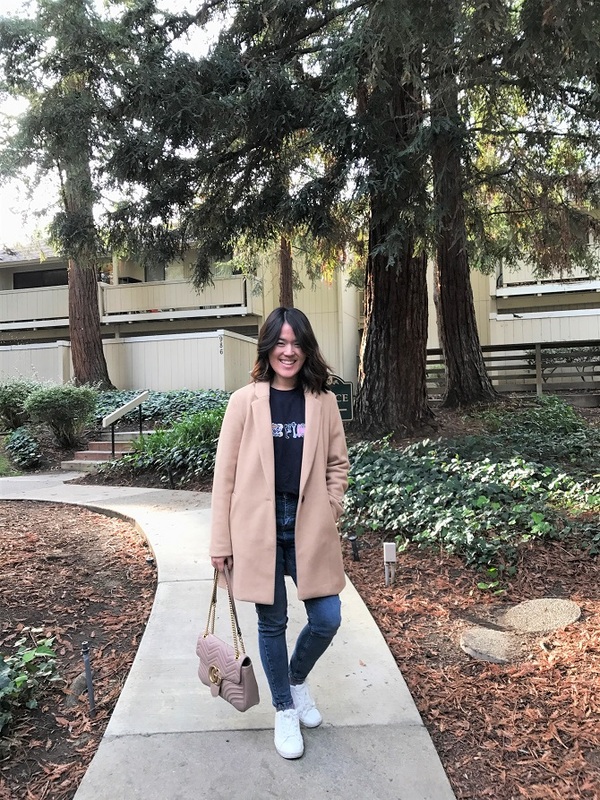 See my favorite everyday coat from the ON here. Although you can't see it clearly here, I'm wearing a t-shirt with "One Piece" on it from Uniqlo. Uniqlo has many surprising collaborations, and this particular one is close to my heart because I used to read the comics when I was in middle school. Pairing the shirt with my newfound favorite high-waisted skinny jeans by Topshop.